Call me old-fashioned, but I love a good bookmark, and I have a large collection ready for action whenever I need one. 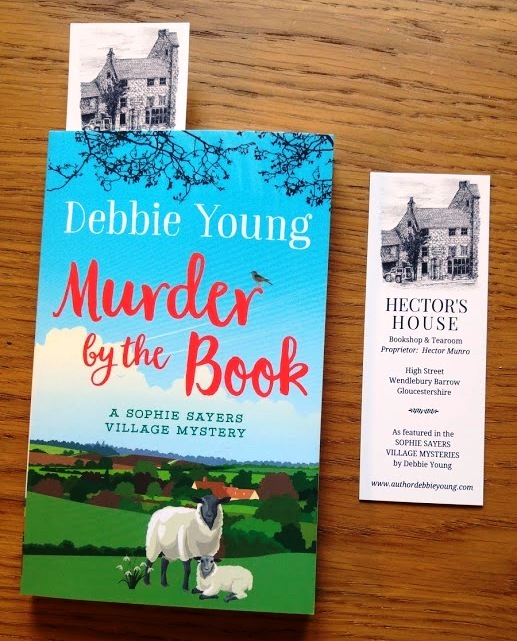 So when I decided to produce some swag to promote my growing Sophie Sayers Village Mystery novels (four and counting...), a good bookmark was the obvious choice. But as to the design, I was stumped. 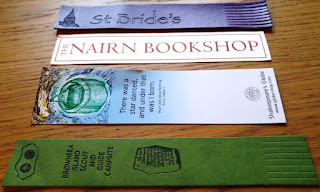 I love the gorgeous book cover designs produced for me by the wonderful Rachel Lawston of Lawston Design, but with three more books to come in the series, and three more spin-offs planned, if I featured the covers on my bookmarks, I'd either have to wait till I'd written the whole lot, or be stuck with bookmarks that didn't feature the latest additions to the series. Then came a light-bulb moment from an unlikely quarter. It was when I was planning the most recent Hawkesbury Upton Literature Festival, the fourth of which took place last Saturday. (Diary date for the fifth one: Saturday 27th April 2019. 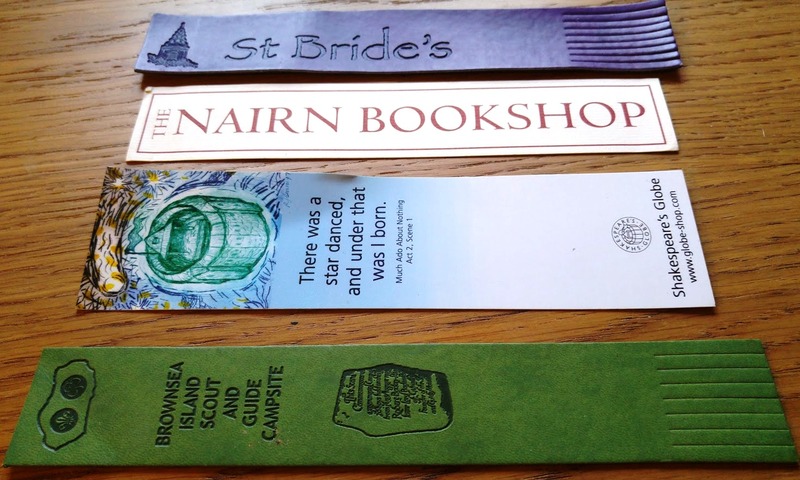 Gosh, Festival bookmarks - bet you didn't see those coming! 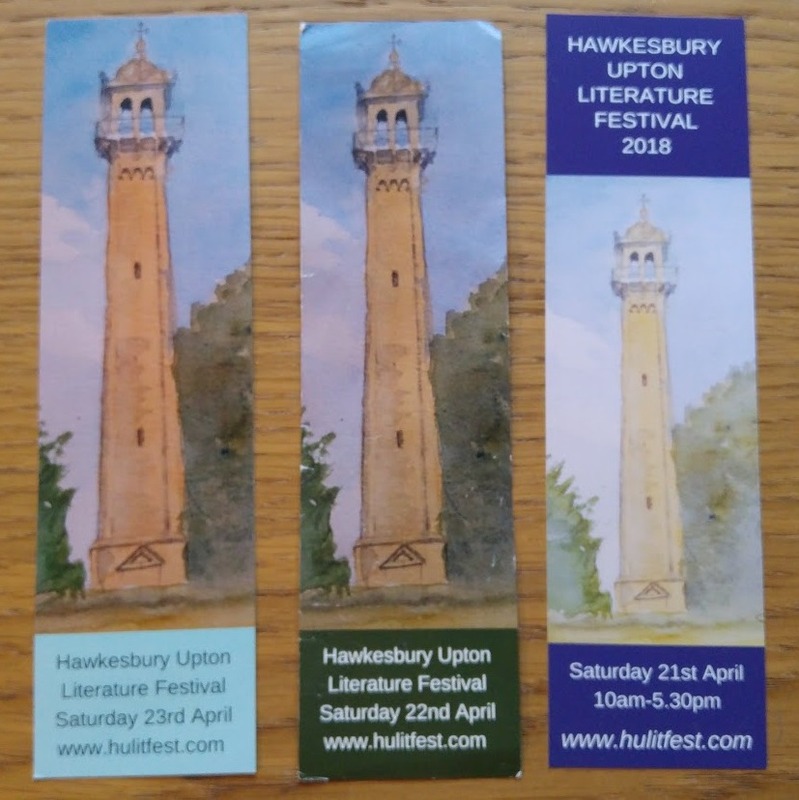 In previous years, I'd used my dad's watercolour of our best-known local landmark to promote the Festival, but this year, when adding a new venue to our programme, Hawkesbury Primary School, I shared a photo of it on Facebook. Next evening, I was pleasantly surprised to find a beautiful sketch that one of the Festival authors, Thomas Shepherd, had produced, entirely unsolicited. Ever the opportunist, I immediately sought and was granted his permission to use the image (which remains his copyright) in Festival publicity, putting it on the printed programme and on the website. He also kindly offered to provide a high quality print, which I bought as a thank-you gift for the School, which they liked very much. As anyone who has read any of the books in the Sophie Sayers series will know, the stories take place in a pretty Cotswold village similar to the one where I've lived for the last twenty-seven years, and one of the focal points in each book is the village bookshop, Hector's House, where Sophie works and falls in love with the charming, enigmatic proprietor, Hector Munro. Thomas's drawing gave me the idea of commissioning a picture of Hector's House to go on a bookmark that purports to promote my fictitious bookshop - though there's also be a line on there to promote my books more subtly than simply displaying the covers. "Can you send me a photo of what you have in mind?" 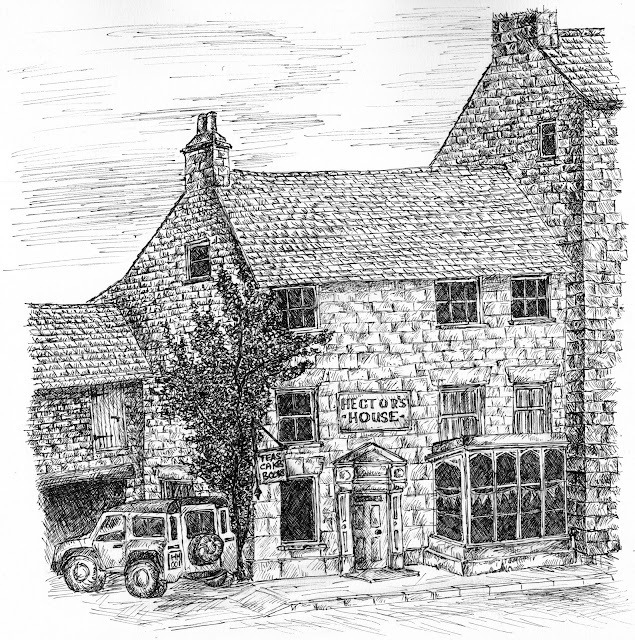 asked Thomas, which sent me scurrying around the Cotswolds looking for a building that matched my mental picture of Hector's shop. The closest I could find was Nailsworth Computer Shop, which needed a few architectural adjustments to make it right. Long story short: the drawing that Thomas produced was lovelier than I could possibly have imagined, and he even added touches of his own, such as Hector's personalised numberplate - and he's given me strict instructions to write into the series a mysterious event taking place in the hayloft above the garage! 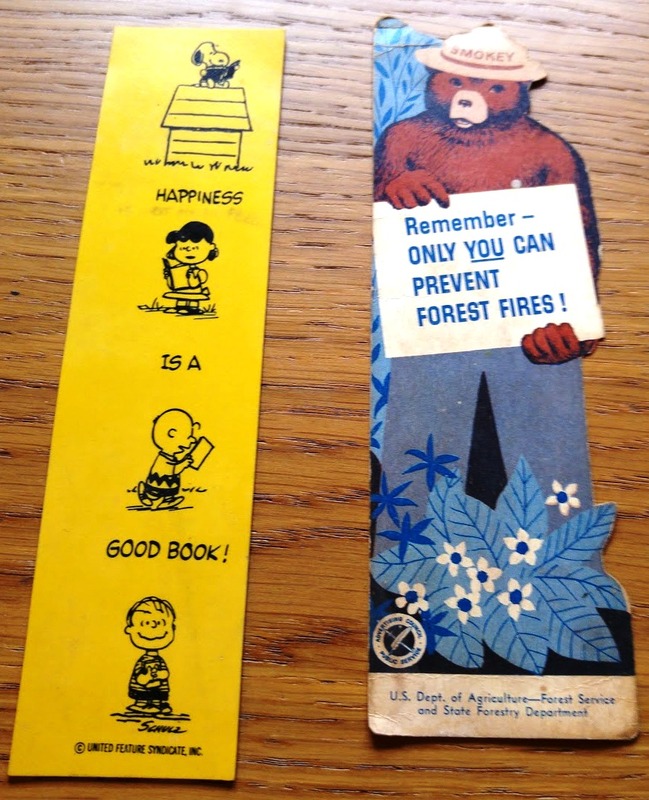 As you can probably tell by now, I was thrilled - and enormously grateful - and immediately ordered a simple bookmark that shows it off in all its glory, leaving the flip side blank so I could also use it as a compliments slip or correspondence card. 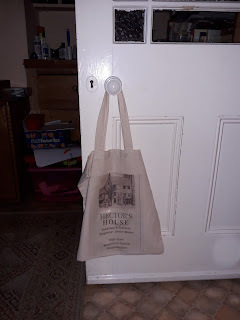 It is now capturing the imagination of so many people who see it - including my dad, who has found a further application for the design: a promotional shopping bag! I had fun giving them out when I launched the fourth book in the series, Murder by the Book, at the Hawkesbury Upton Literature Festival last weekend, and I now have a supply permanently stashed in my purse so I can pass them on to anyone I see reading a book, anywhere I go! To order a copy of Murder by the Book, visit viewbook.at/MurderByTheBook - now available in ebook and paperback around the world. 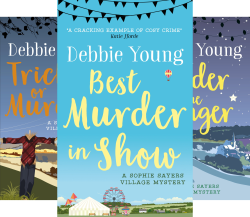 To find out more about the Sophie Sayers series, visit the series page at viewbook.at/SophieSeries - or visit my website's fiction section. To commission your own drawing by Thomas Shepherd, contact him via his website: www.shepline.com - and tell him that Hector Munro recommended him! 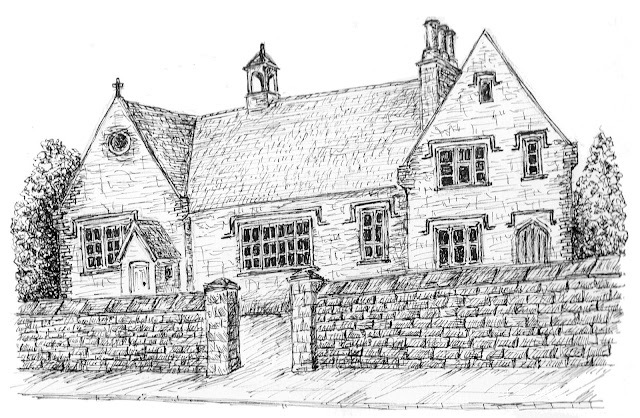 When I was sharing this experience with some local writer friends, one of them told me that the Nailsworth Computer Shop, on which the drawing was based, used to be a bookshop - how spooky is that?! instead bored my husband rigid, not to mention a few other family members, who have all expressed just the right degree of enthusiasm. They know me well and they know they won't have to endure it for long: the chatty stage won’t last. Soon, even a polite inquiry will be met with a grunt and an expletive and not long after that, the novel will be a topic that is simply not discussed. Ever. 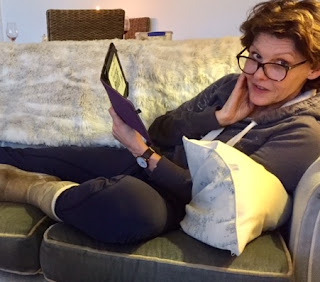 Although this is a relative good moment in the novel writing cycle, it is a slightly dangerous one because the story of the story gets shorter with each retelling. That’s great for elevator pitches, but as I’m more of a stairs girl myself (and the backstairs at that ) I don’t need to make a story shorter and simpler, but longer and wilder if it is going to go the distance. I don’t like to know too much too clearly or I lose interest so fixing a story's form through conversation can kill it dead. Luckily, I am not the only one doing the talking: my characters are bickering in the background, having coffee together, going to the pub speculating, gossiping even soliiloquising in the low level, largely ignorable way of the radio. I don’t think this means I’m mad. I hope it doesn’t make me mad. Whenever I catch myself thinking, I am thinking about the next scene, eavesdropping really. I rarely write the scenes I’ve overheard, at least not in the way I’ve heard them. 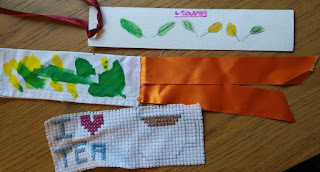 Maybe because, having imagined them one way, I have to write them another, in order to keep myself interested. 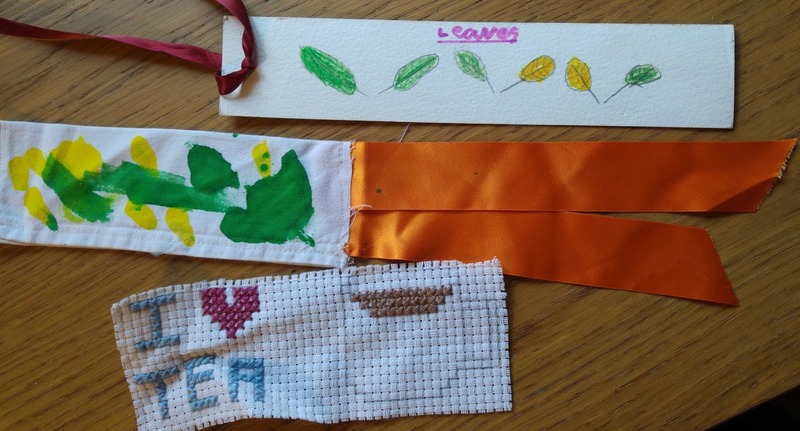 I realise this all makes me sound like some hyper active teenager with a low boredom threshold and a tendency to start projects she doesn't always finish, and apart from the teenage bit, that is not an unfair representation of my mental state. Finishing a novel requires me to walk this narrow, slippery tight rope slung between the beginning and the end, knowing neither too much nor too little. At some stage even this chattering will stop, the characters will only perform on the page and sometimes not even then. The tightrope will swing and my balance will grow ever more precarious and it is all about somehow making it to the end before I fall off it altogether. Is that how it works for you? Last week, Ali Bacon covered this topic and asked ( and answered) some penetrating questions about many of its technical aspects as well as its potential. These are just some additional musings on the form. The best short stories can have the same intensity and levels of reader involvement as a novel or the concentrated power of a poem. Edgar Allen Poe and Maupassant packed more into theirs than other writers manage in entire novels. Bizarrely though, given that we live in times where speed is essential, sound bites are the norm and it seems that ‘we have no time to stand and stare’, lots of publishers/agents still say explicitly, ‘No short stories’. And yet, in theory at least, it ought to offer the perfect fit for commuters with their e-readers and anyone who relishes grabbing a few moments during the galloping days to relax with some fiction. That’s’ a good example of how short stories, however complete (or however short) they are, often still leave you with echoes, aspects of people and events you’d like to know more about. As for where the ideas come from, or how I know a particular topic is a short story rather than a play or whatever, I don’t think there’s a rule. My short stories tend to come from times when I think ‘OK, I have x hours free and I want to write something so I’ll write a complete story’. There’s a satisfaction about giving yourself exclusively to a piece of writing that you know you’re going to complete – in terms of its first draft anyway – at one sitting. You may not, of course; complications may arise, new, uninvited characters may barge in. And, anyway, it won't be the finished article because you’ll be returning to edit the thing in a day or two (or longer, preferably). 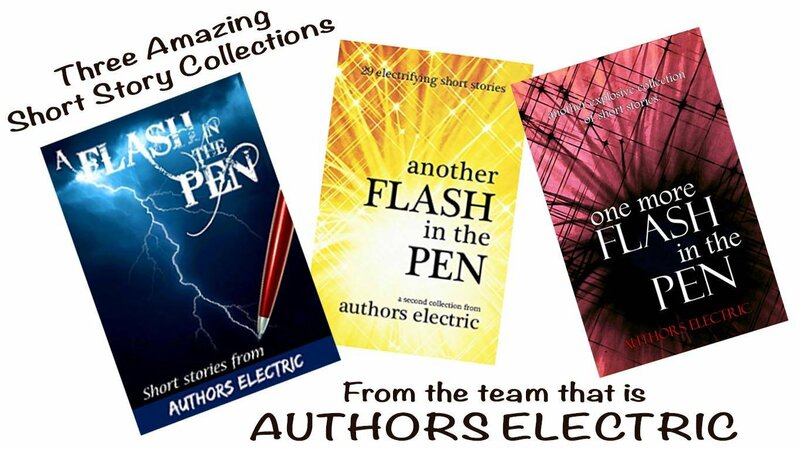 An anthology, especially one which features several different authors, can offer a range of perspectives, styles and experiences which keep refreshing the reader’s curiosity and illustrating just how flexible the story form is. If you want proof, just get hold of a copy of A Flash in the Pen, Another Flash in the Pen, One More Flash in thePen, or Ghosts Electric – all anthologies from the Authors Electric team. Another book recommendation for anyone who likes to read about writing and writers. “Self & I: A Memoir of Literary Ambition” by Matthew De Abaitua. 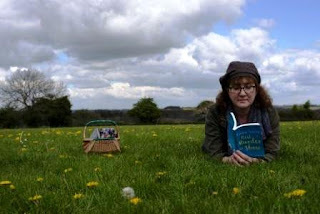 Almost anyone who came of age realising that the only thing they wanted to do with their lives was write will find something moving, funny or frightening in this memoir of a young writer from an entirely non-literary family wading out into the swamps of intellectual snobbery and potential poverty in search of the elusive uplands of literary success. The USP for this particular story is that young Matthew was employed by Will Self, a novelist famous for being a terrifying mixture of drug and drink fuelled intellectual rigour, Hunter S. Thompsonesque japery and, some might say, literary pretension. 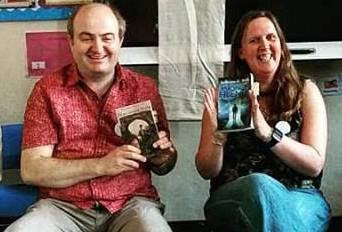 The book is marketed as being a real-life "Withnail and I" – and it certainly fulfils that brief, but it is also a serious look at why on earth so many of us are willing to risk starving to death in order to be free to write what we want. Reading it reminded me of how scared and excited I felt when reading Orwell’s “Down and Out in Paris and London” as a teenager. Books like these are what keep us glued to our keyboards day and night when so many more pleasant distractions are beckoning us away. Quick disclaimer: This book was edited by the excellent Scott Pack, who also edited my “Confessions of a Ghostwriter”. The George Town Literary Festival (GTLF) won the Literary Festival Award at The London Book Fair in 2018, on April 10. 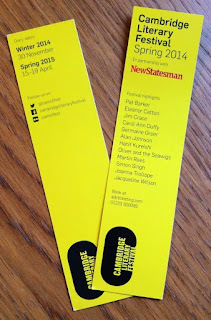 But why should we even care about this win by a little-known literary festival? 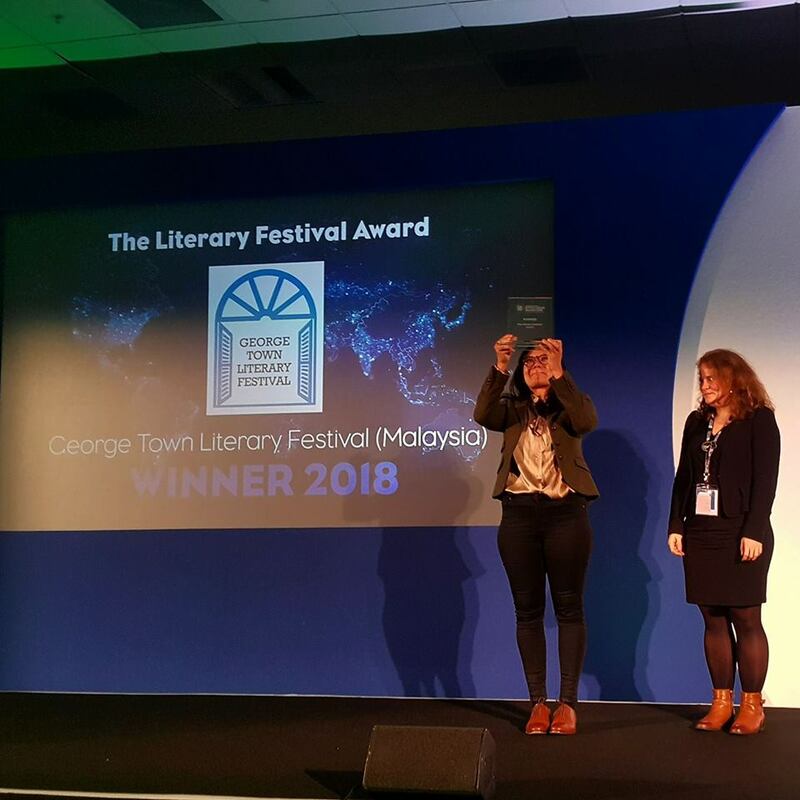 The judges chose the George Town Literary Festival as it “stands out as a vibrant, diverse and brave festival that engages with a wide community of voices, speaking to the world from a complex region”. BRAVE. In a complex region. YES. 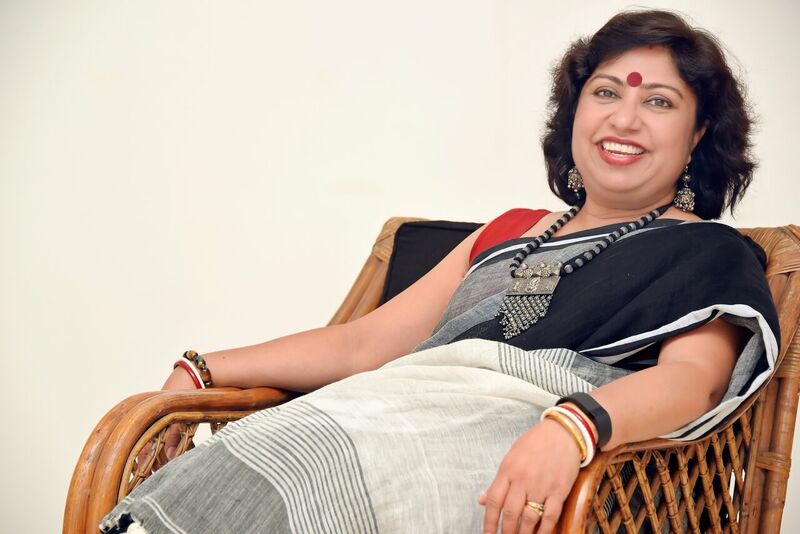 This is first South-East Asian literary festival to win the prestigious award, GTLF director Bernice Chauly and her team continue to do the impossible. Buttressed by booksellers like Gareth Ismail of Gerakbudaya, this festival presents an eclectic range of world voices, with an emphasis on Asia, despite the odds. Malaysia has some of the toughest censorship laws in the world. Books, as well as movies are censored, and the authorities just passed a fake-news bill on April 2, 2018, which is likely to further stifle free speech with punishments of up to six years in prison and a fine of RM 500, 000 (US$128,000). The Malaysian Prime Minister is embroiled in the 1MDB financial scandal under investigation by the Department of Justice in the US, but the Malaysian newspaper commenting on this issue was shut down. Free speech, or a free judiciary even, is under siege in this democracy. 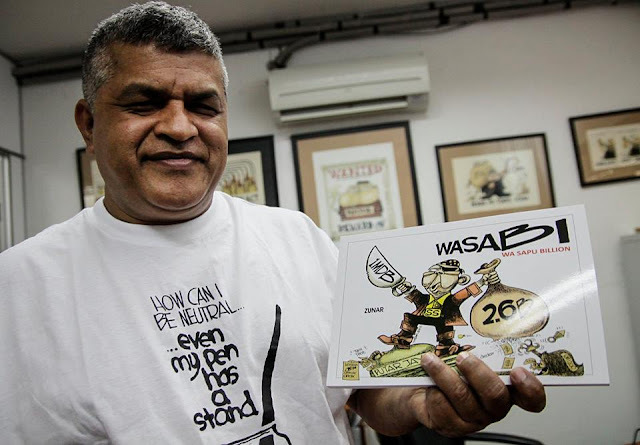 Among the books banned by the Malaysian authorities is Zunar's Sapuman: Man of Steel which has illustrations of the Malaysian Prime Minister and the allegations surrounding the 1MDB scandal. Yet Zunar's work has been featured at the Georgetown Literary Festival, as have voices of opposition. 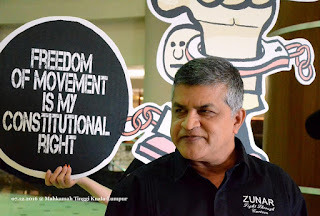 The panels are feisty and free-wheeling, for the George Town Literary Festival is held in Penang, and has been a bastion for free speech in a country where the laws are getting more draconian. What can we do to support these brave writers and literary curators? Read books by authors writing about Malaysia. Go beyond your usual readings lists and explore the world of writers in countries where writing or speaking can be seen as acts of sedition. There is much to be discovered. 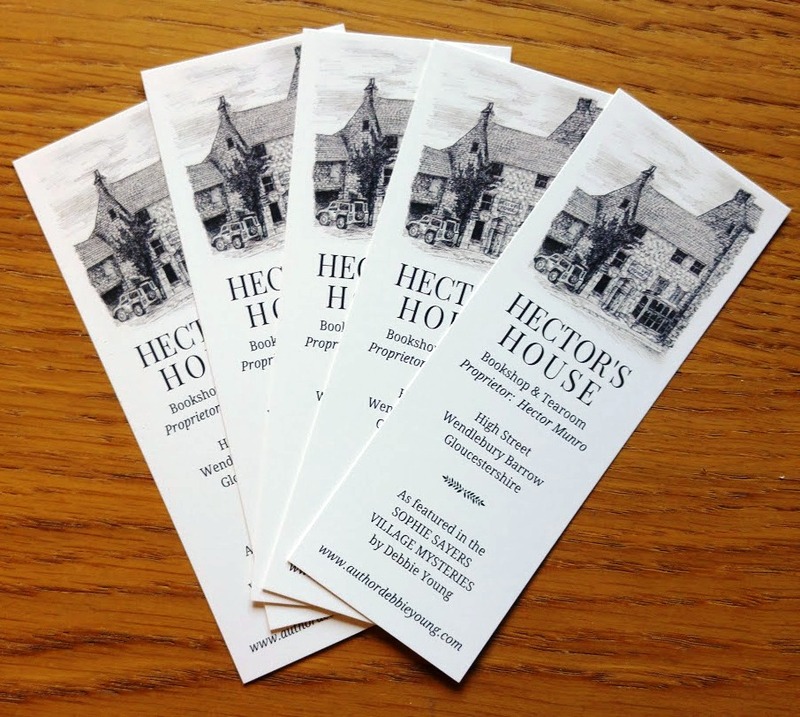 Or, if you can, attend the Georgetown Literary Festival from November 22-25 this year. I'll be there!